Awesome Disney Apps for Your Vacation by Guest Blogger Jess Signet! These are Disney’s three official park apps (the first for Walt Disney World, the second for Disneyland in California and the third for Disneyland Paris). 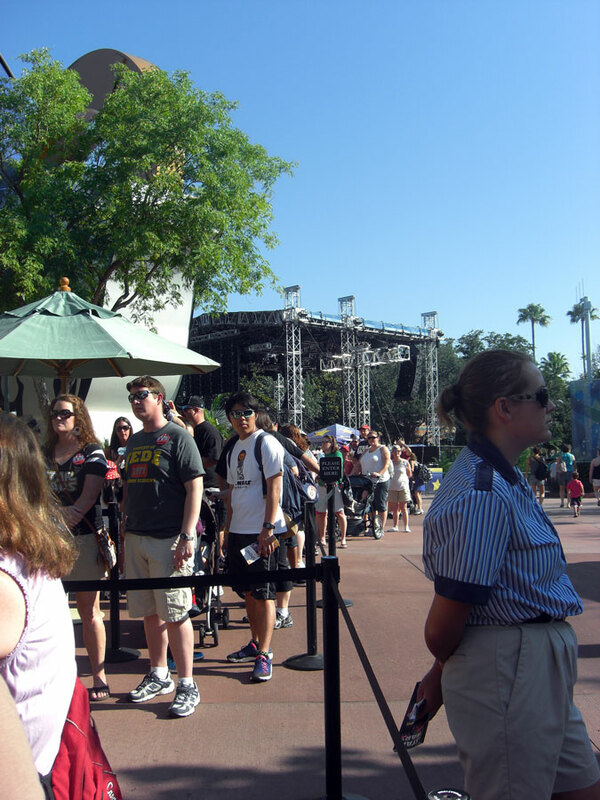 The apps can be instrumental in helping you make the most of your time in the parks. You can use them to make dining reservations, choose and modify FastPass+ Reservations, find your way around the parks, check current wait times, browse park restaurants and more. You can also use the Disney apps to locate your favorite characters. Young or old, no one wants to miss that perfect picture with their childhood favorite! It’s definitely one of the most useful Disney apps for your trip. Another app created by Disney, this one will let you shop for official Disney products. If you’re looking for souvenirs from your trip, you’ll likely find that the ones in the park are pretty pricey, and how often are you really going to wear those Mickey Mouse ears outside of the park anyway? Whether you’re looking for Disney’s collectable trading pins, shirts, accessories or whatever else, you can likely find it cheaper using this app, and then you can ensure that you have exactly what you want and can bring it with you on your trip. So you’ve parked your car, had a blast exploring Disney all day, and now it’s time to find your way back to the car. With a parking lot full of cars stretching off into the distance though, you might be feeling a little lost. Was it this row or the next row? Was your car really this far down, or have you passed it already? Enter this handy app. After you park your car in the morning, just click a button on the app to save your location; when it’s time to go back out to your car, use the map, and its handy navigation arrow to guide you back to your spot. 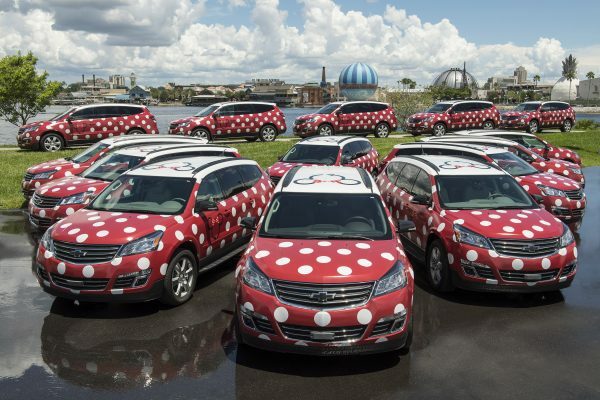 Personally, I don’t like driving a car when I go to Disney. Rental fees can get expensive, especially during peak season, and then you have to worry about finding a place to park and getting all the way back out to your car at the end of the day. Rather than deal with all that hassle, you can use this app to figure out how to get around using the monorails, buses and other transportation options available around the park. It’ll even tell you how long the trip will take, so you’ll know when you can meet up with people—or how long the kids have to nap! There are a dozen reasons you should be using a VPN whenever you access the internet, not the least of which because it’ll keep your passwords and other personal information safe from hackers by encrypting your connection. 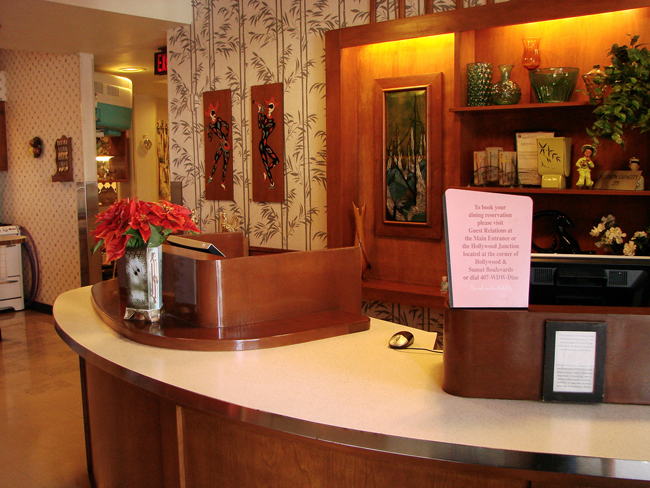 You can find free public WiFi at many spots around the parks (hotels, restaurants, etc.) and may be able to find internet access in the parks (it’s available in Walt Disney World, but not in Disneyland yet), but it’s important to know that your normal internet connection isn’t secure. The VPN will keep your information tucked inside a secure tunnel so that only you and the server you’re accessing can see your information, and it can’t be intercepted in between. The other benefit of a VPN is that it will allow you to hide your true location by providing the sites you access with a fake IP address. This means you can get around the geo-restrictions employed by many streaming sites such as Netflix, Hulu and BBC iPlayer. 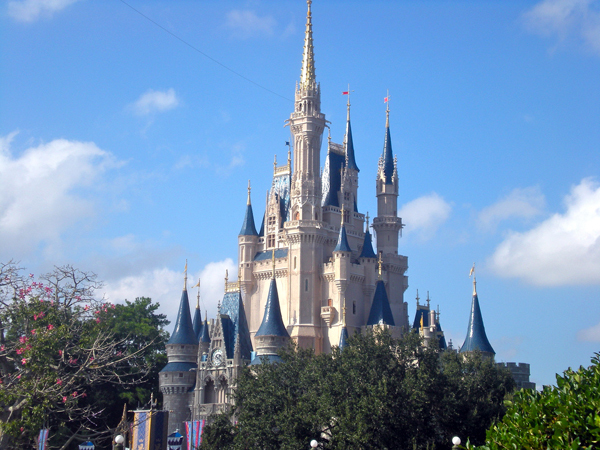 Why is this important for you trip to Disney? Well, many Disney classics are ready for viewing in the US Netflix streaming catalog—time to get rewatching as you plan for your trip! Have you used any of these apps, or do you have any other apps that are your favorites for using at the Disney parks? We’d love to hear your comments! 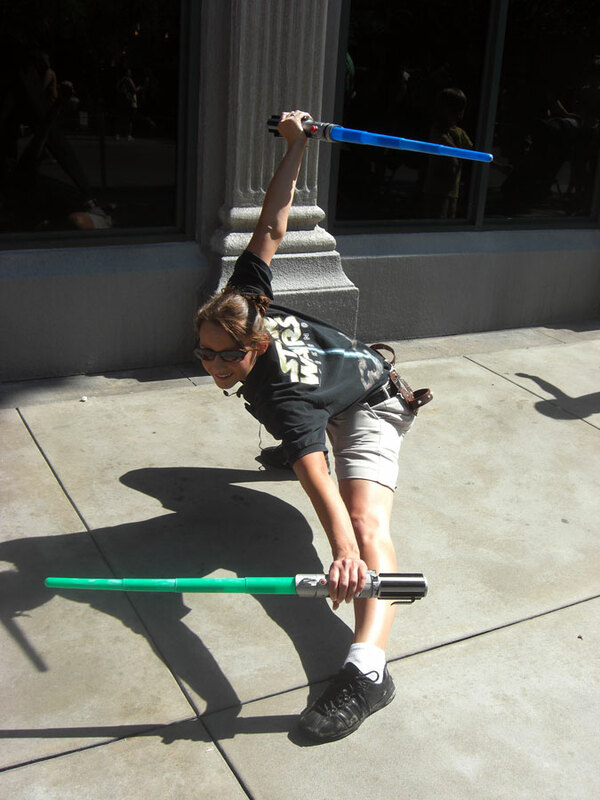 Bio: Jess Signet is an avid traveler, travel writer and has been a Disney fan as long as she can remember. She hopes these great apps will enhance your magical Disney experience. You can follow her work on her website. You have to hand it to Disney. They know how to make a video! Check out their new educational video detailing the benefits of staying at a Disney Resort Hotel in a musical format. It’s a fun video, and it features a lot of music by my favorite Disney composers, Richard and Robert Sherman! 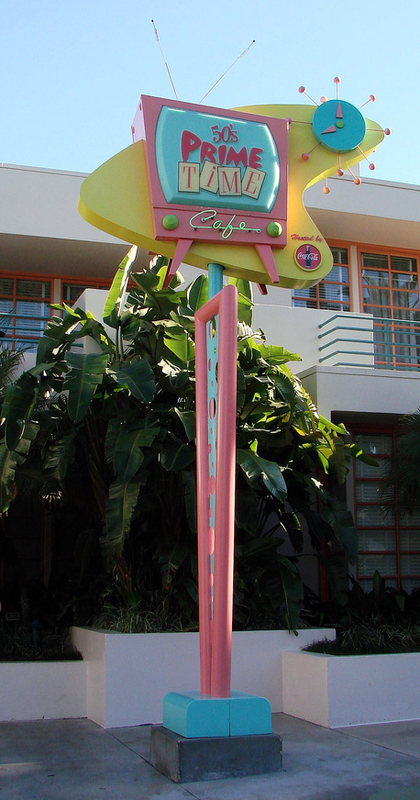 The 50’s Prime Time Cafe might just be my favorite restaurant in Walt Disney World. The food is not the reason, although I really enjoy many of the dishes served there. The atmosphere is what makes it so awesome! 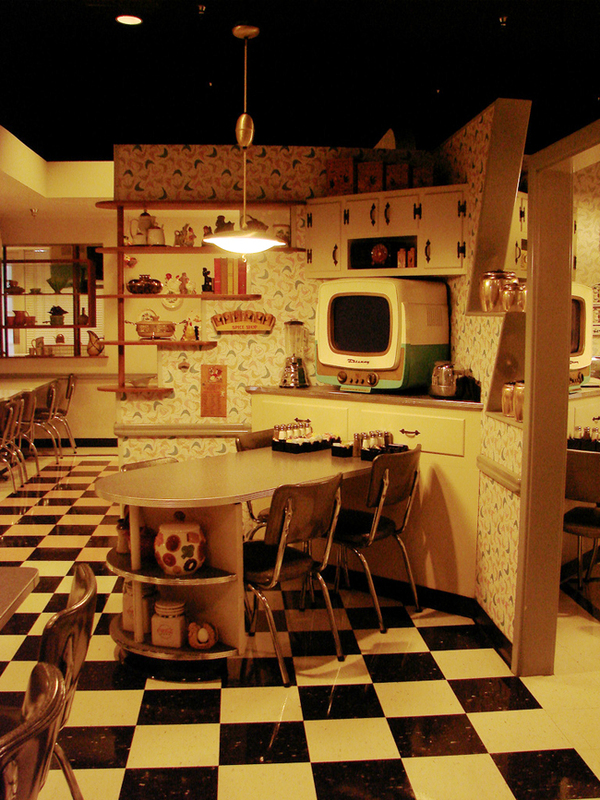 …you wait in a 1950’s living room until Mom calls you into the kitchen for dinner. Well, it might not be Mom. It might be Grandpa, your Uncle Joey, or maybe even your sister Loraine. 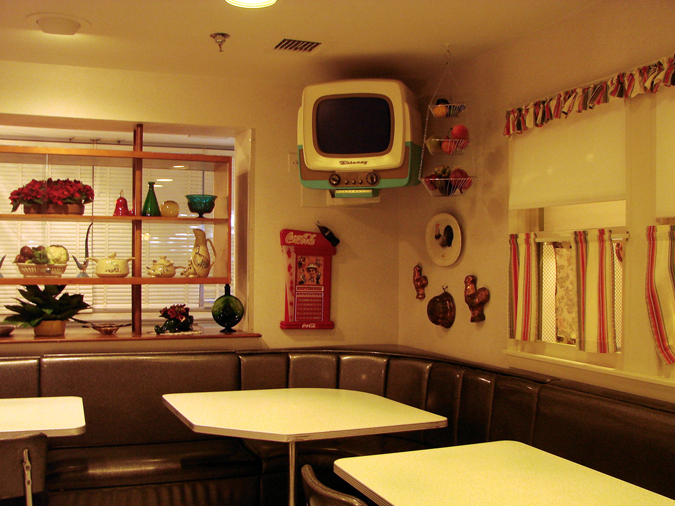 The atmosphere in the 50’s Prime Time Cafe is defined as much by your server as by the décor. Each server has taken on the role of a family member and acts the part. 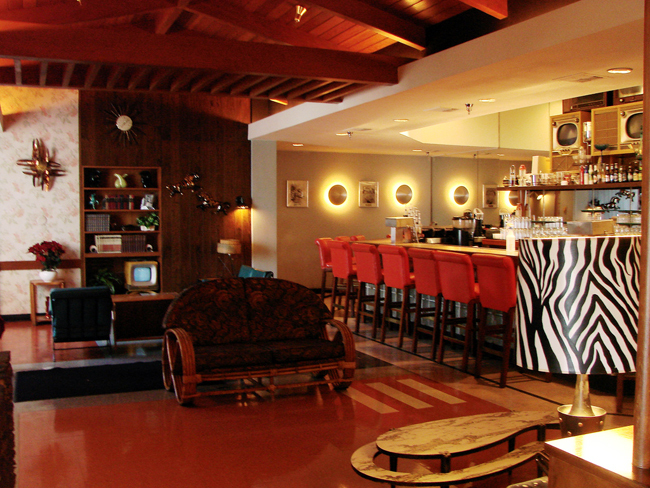 The best part is that you and your dining companions are included in the fun. Violating proper 1950’s table etiquette can bring results that range anywhere from unexpected to hilarious. There are some downsides to this. 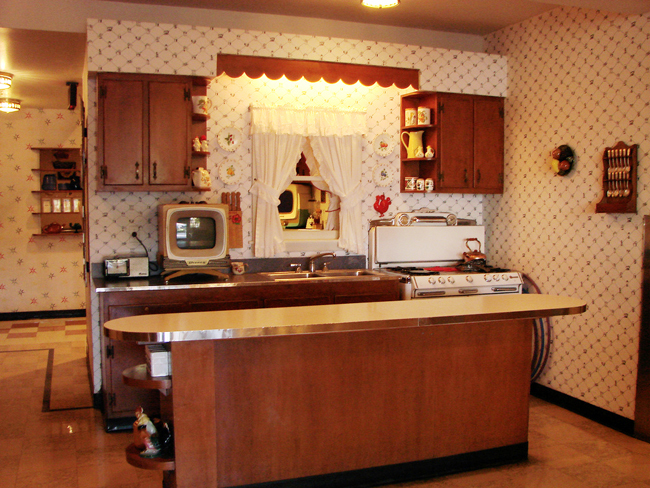 Some servers are more “into the part” than others and there’s nothing worse than getting a dud server at the 50’s Prime Time Cafe. While there are always the clips from 1950’s television shows (running continuously on the multiple television sets) to keep your interest while you wait, the real fun is the show that the servers put on. 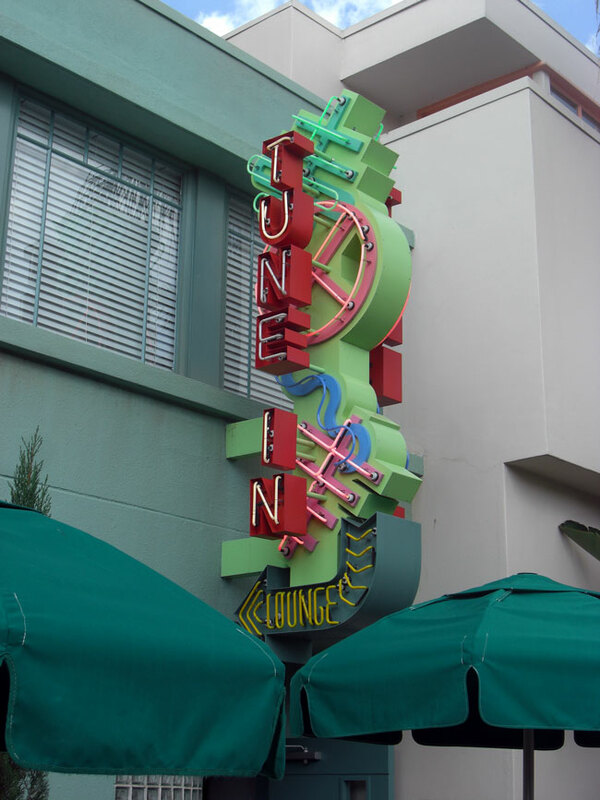 Finally, here’s a tip for those of you who want to eat the food but want to avoid a huge wait (or the show): You can order all the menu items by going to the Tune In Lounge, which is actually Dad’s liquor cabinet in the waiting area! Thanks for stopping by and reading! 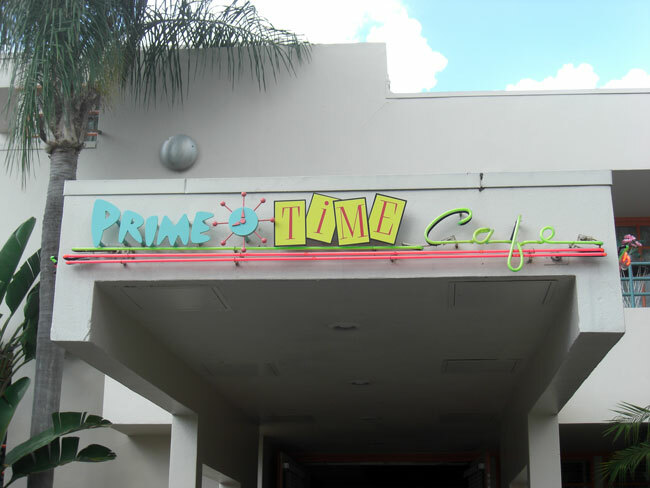 If you’ve been to the 50’s Prime Time Cafe and have any fun stories to tell about it, I’d love for you to share your experiences in the comments! 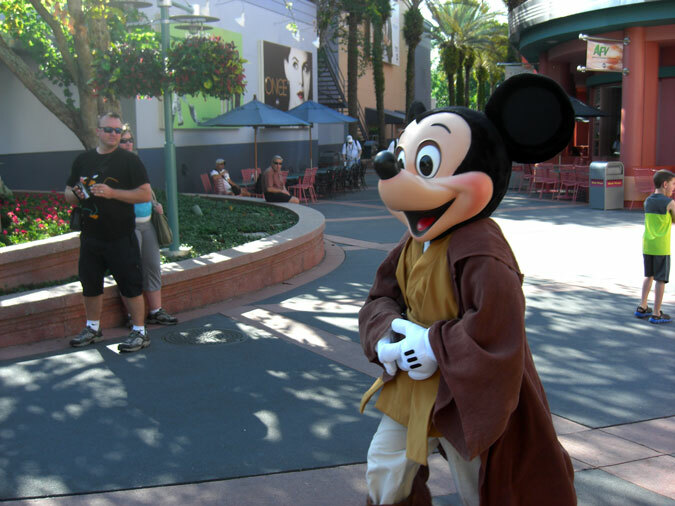 One of the things I anticipated most about attending a Star Wars Weekend at Disney’s Hollywood Studios was going to special character meet-n-greet opportunities! It was great fun, but I have to say that I’m glad that I was by myself on a research trip rather than with my family. I learned some very important things that will really help me to prepare my kids for what to expect when we go. I’m going to pass my wisdom along to you! I couldn’t even see the end of the line from where I was standing! Did I mention that I was basically standing in the sun this entire time? It was pretty hot and it was only around 10:00am. But Mickey Mouse finally arrived! I took a picture of him making his way to the photo location. The line finally started moving as Mickey greeted the Guests. When I was about six people away from the head of the line, Mickey took a break. That is normal and expected. 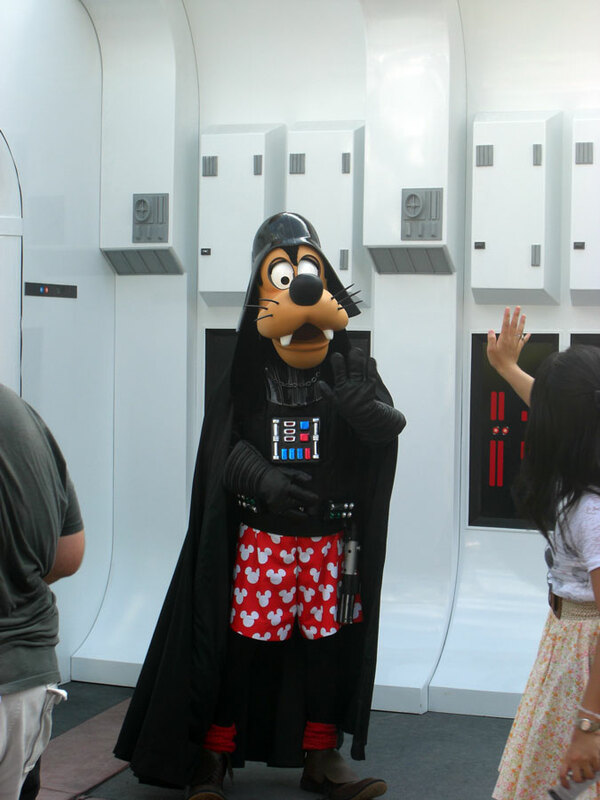 What I didn’t expect was for Minnie Mouse, as Princess Leia, to arrive five minutes after Mickey left. The line began to move forward, and I ended up getting a photo opportunity with Minnie instead! Yes, that’s right. I waited 75 minutes to meet Mickey Mouse and ended up meeting Minnie Mouse. That’s when I learned that multiple characters meet at the same location, usually one at a time. 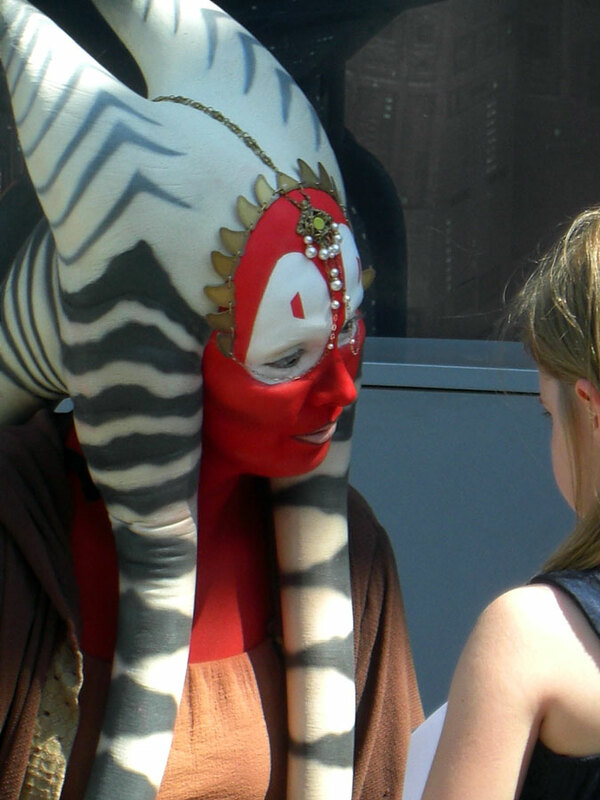 There is no guarantee that you’re going to be able to meet a specific character. Who you get to see depends on who is there when you reach the front of the line. 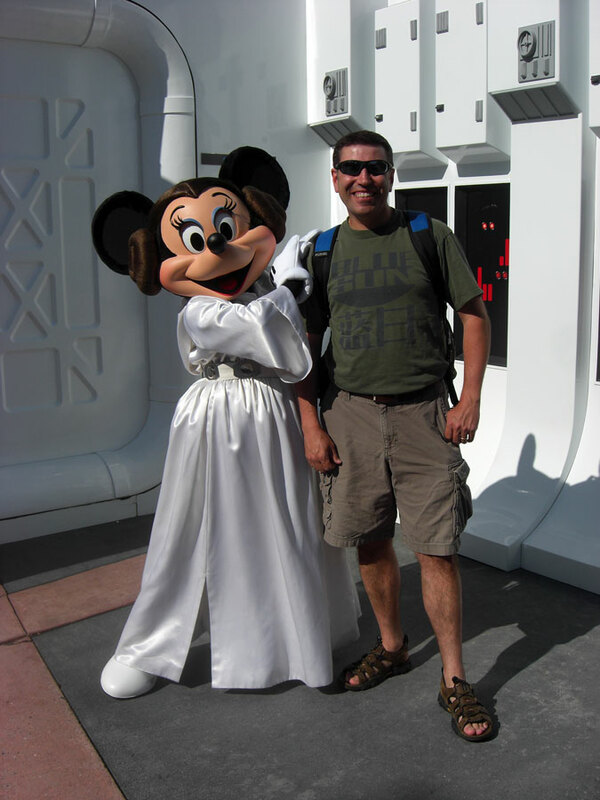 In this particular location, I could have met Mickey (as a Jedi Knight), Minnie (as Princess Leia), Donald (as a Storm Trooper), or Goofy (as Darth Vader). 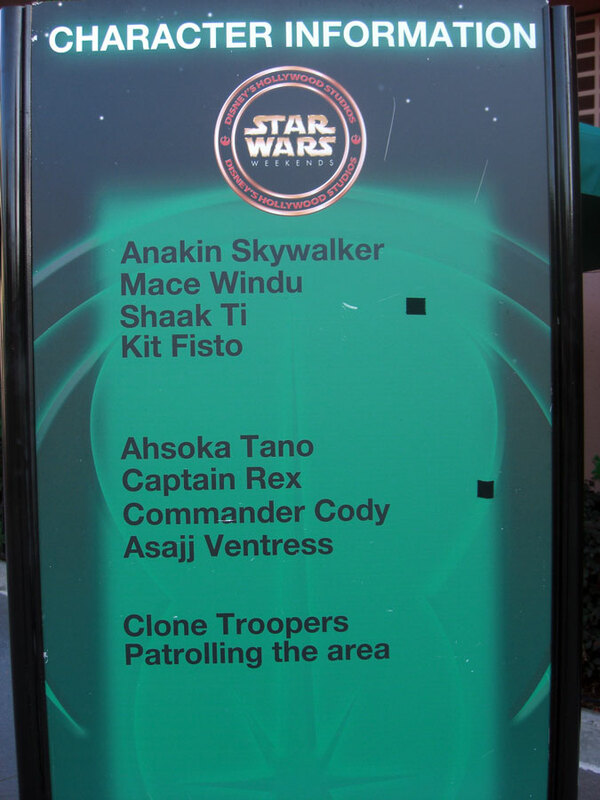 I later found out that there are signs telling you which characters appear and where. Multiple Characters appear in rotation at a given location. 3. Be prepared to wait exposed to the elements. 4. Don’t expect a specific character & be happy with who you get. 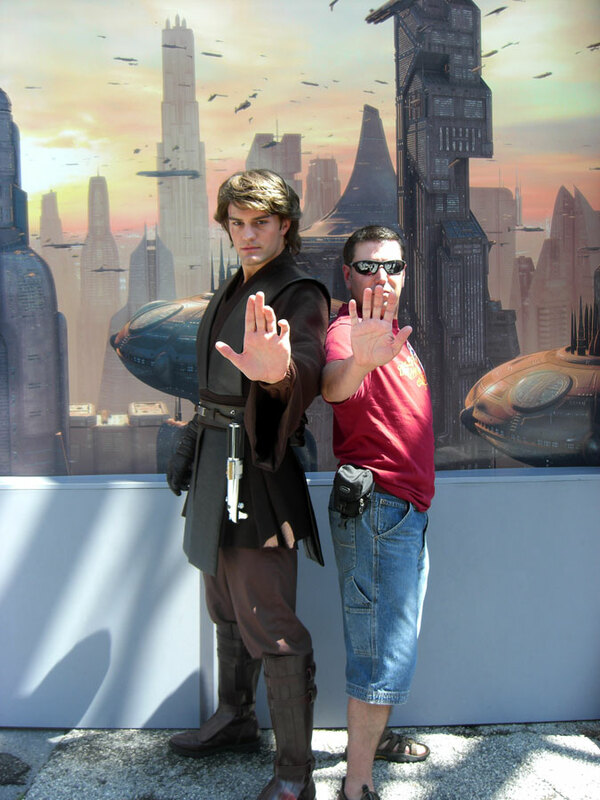 That being said, I had a ton of fun meeting the Star Wars characters. They really play their parts well, some more than others. (The best, by far, was Boba Fett! I could have watched him greet people all day long.) I really can’t wait to go back with the kids! 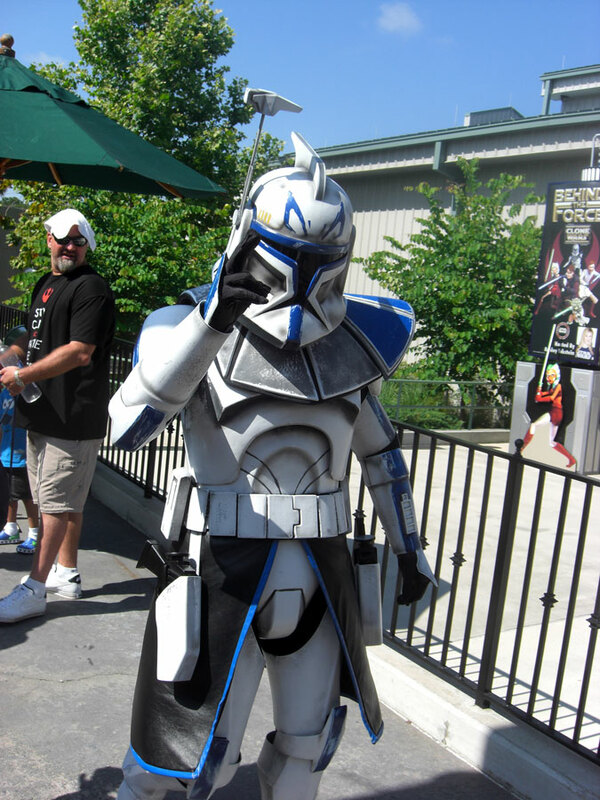 Captain Rex is going to take a break. 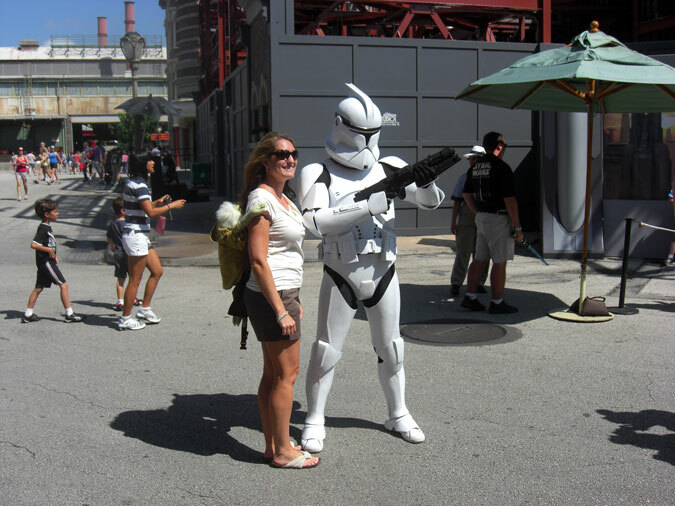 A Stormtrooper is surrounded by fans. 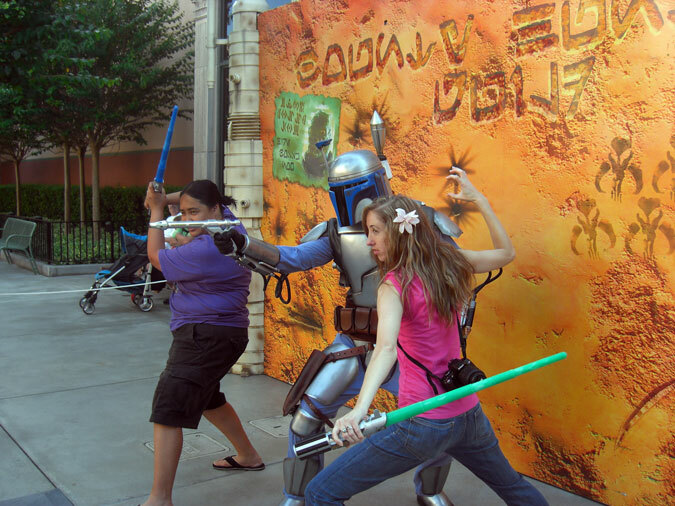 Jango Fett’s “handler” is more dangerous than Jango! 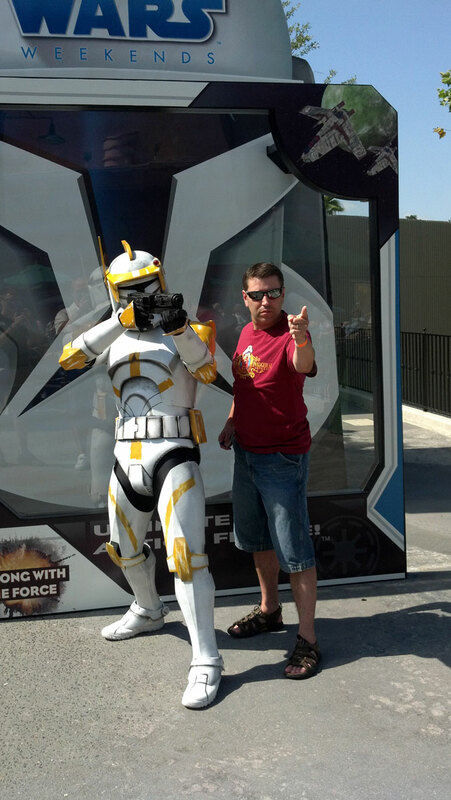 Clone Troopers roam the Studios. 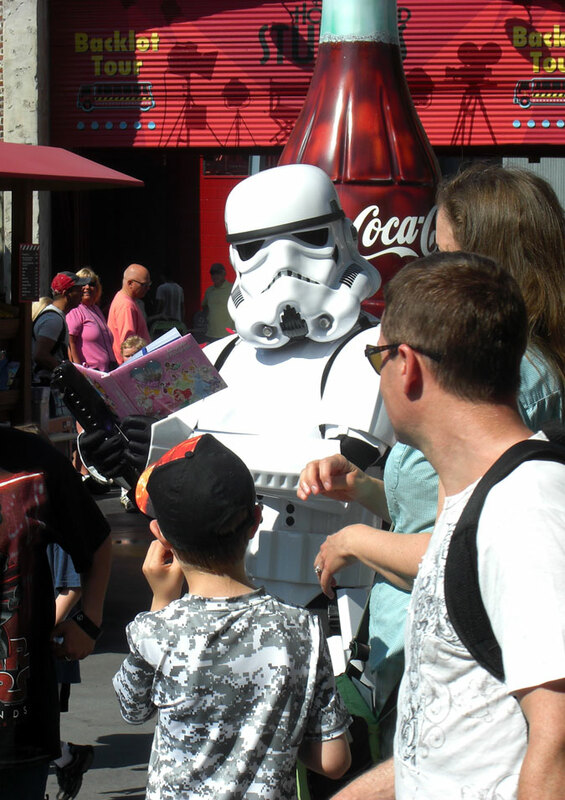 Commander Cody takes his orders from The Mouse Planner. 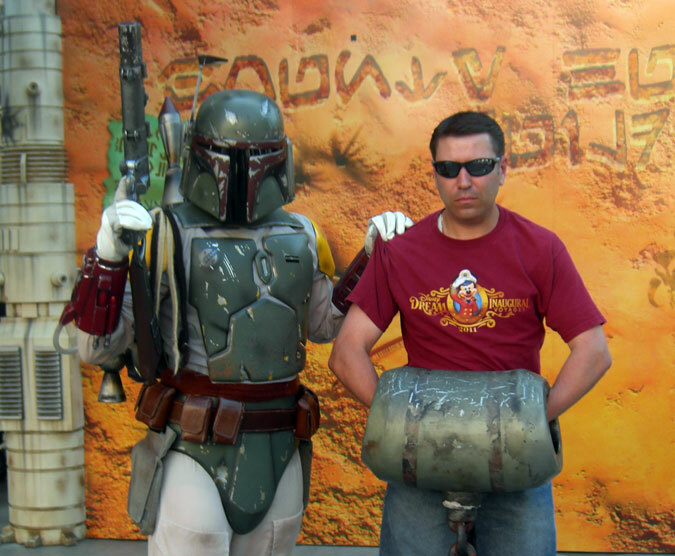 Boba Fett captures a notorious scoundrel. I just wanted to bring your attention to an article written by my friend Jess. As any experienced Disney traveler knows, Disney has developed some unique terminology that, while simple, can be confusing to someone who has never been to Disney World before. Her article defines some of the more “confusing” terms. Since I work so often with people going to Disney World for the first time I am in the habit of explaining this terminology to my clients, and I think it is great that Jess has taken the initiative to explain this terminology to the general public! There is a Weenie in this picture. If you don't know what a Weenie is, check out Jess's article. I’ve had quite a busy month! I was a guest on the Tiara Talk Podcast as part of a round-table discussion giving a recap of the WDW Radio Dream Cruise, complete with fun anecdotes and tips. If you want to find out if I’m really Lou Mongello’s brother, just listen to Episode 2. I also managed to appear on an episode of “See Ya’ Real Late” with Tom Corless of WDW News Today. We were discussing the new interactive queue at the Haunted Mansion as well as the new Hitchhiking Ghost audioanimatronics and effects. Needless to say, I’m thrilled with the updates. I think the interactive queue not only gives kids something fun to do while waiting on line, it gives kids a sense of the “fun” side of the Haunted Mansion and sets the tone for the attraction. 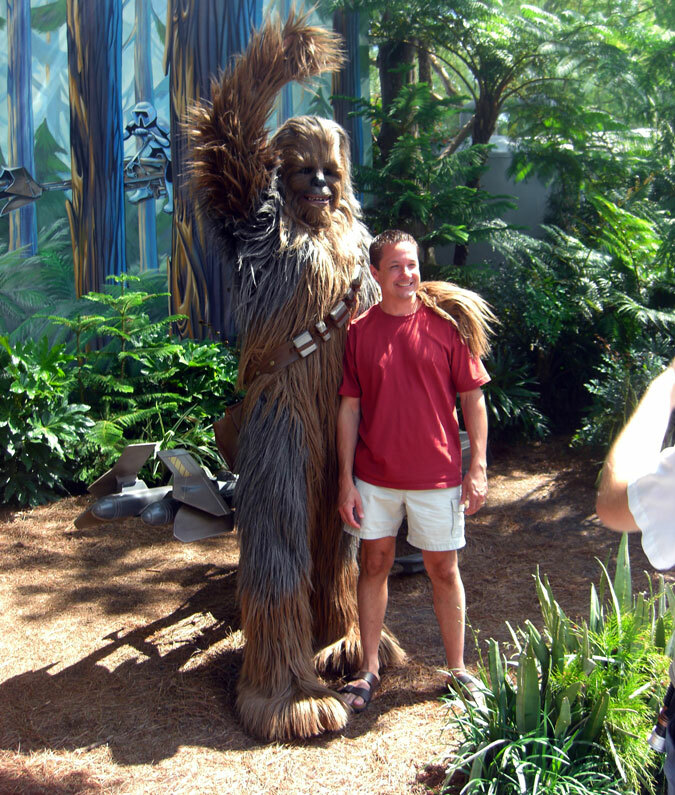 I’ve also been a long-time advocate of upgrading the audioanimatronic figures and effects in older attractions, provided that the upgrades don’t change the attraction. The Imagineers got it right in this instance. I also attended a Disney Interactive media event in New York City where they previewed three video games. I had a chance to play all three of these games and I honestly couldn’t decide which I liked more. Each had a different feel to it. The Lego Pirates of the Caribbean game was just a blast with the fun puzzles and cut scenes that I’ve come to expect from Lego video games. Cars 2 was a fun, high energy racing game that reminded me of a slick version of Mario Kart. Phineas and Ferb was a throwback to my favorite classic adventure games from the late 1980’s or early 1990’s, but with a modern twist to it. I’m going to have to purchase all three once they are released. Also at the media event, I found out the Disney is celebrating the upcoming royal marriage of Prince William and Catherine Middleton with the Happily Ever After Contest. While following royal weddings isn’t really my cup of tea, getting a chance to win a free trip to Disney World is. There are also some great activities for young Princesses to be found on the website, too. 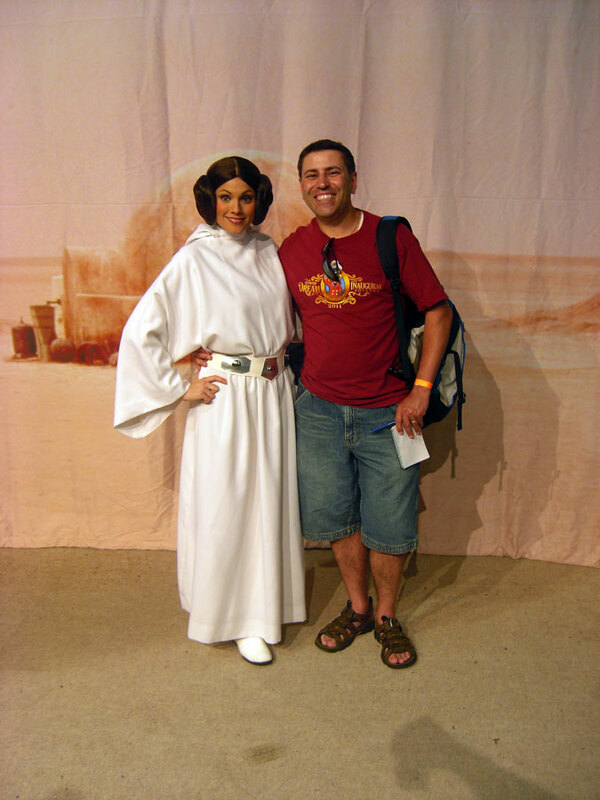 Finally, I wrote an article for The Disney Driven Life giving tips on how to avoid losing your children when vacationing at Disney World. If I do say so myself, it is well worth your time to read it. I’m back from my trip to Walt Disney World and a wonderful voyage on the Disney Dream with the WDW Radio gang. I’ll be posting some reviews and musings over the next few weeks. In the meantime, feel free to read my latest blog post for The Disney Driven Life where I give you 3 Disney Transportation Tips! 1. Walt Disney World is not just a theme park. It is a vacation destination that is about twice the size of the island of Manhattan. It has four theme parks, two water parks, dozens of hotels, hundreds of restaurants, a sports complex, and more. Get the idea out of your head that you can experience all that Disney World has to offer in a day, a week, or even a month. 2. You need to plan out a vacation to WDW whether you are visiting for just one day or three weeks, just as you need to plan out a vacation to New York City or London. In addition to having an overarching vacation plan, you also need to have a daily itinerary if you want to get the most out of your time and money. Your itinerary should be well structured, but it must also be flexible. A truly good itinerary should also be customized for you and your family. What works for someone else may not work at all for you. 3. There is no need to get stressed because you are planning a vacation. 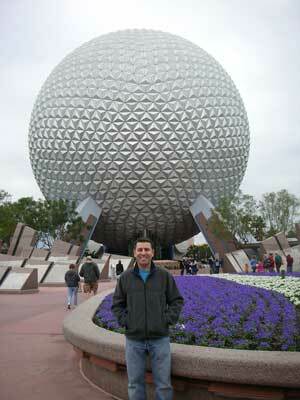 In fact, planning a vacation to Walt Disney World can be almost as exciting as the trip itself! Don’t let yourself get overwhelmed. Whether you want to plan it all yourself or have someone plan it for you, there are plenty of resources out there to help you.